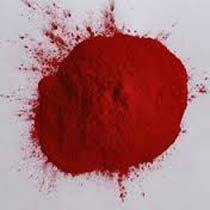 We are a prominent Manufacturer, Exporter and Supplier of Solvent Red 25 from Maharashtra. The Solvent Red 25 that we make available is processed in compliance with the international standards. We use high quality packaging to ensure their safe delivery. Clients can order in bulk as well and get sure about timely delivery. Contact us for the most reasonable prices!